has been rescheduled for Friday, December 14 at 7pm. Tea with Clara will from 5:45–6:45. If you are able to attend on Friday, December 14, no action is needed on your part! Your tickets will automatically be honored for the same seats for that performance. If you cannot attend on Friday, December 14, you may exchange your ticket for one of the other performances, based on availability, at no cost to you. If you cannot make any of the performances, you will be issued a full refund. Please call 336-333-2605 if you need to exchange or refund your tickets. Swirling snowflakes, giant mice, dolls that come to life, and sweets from around the world are just some of the characters you’ll experience as you join Clara on her magical adventure! 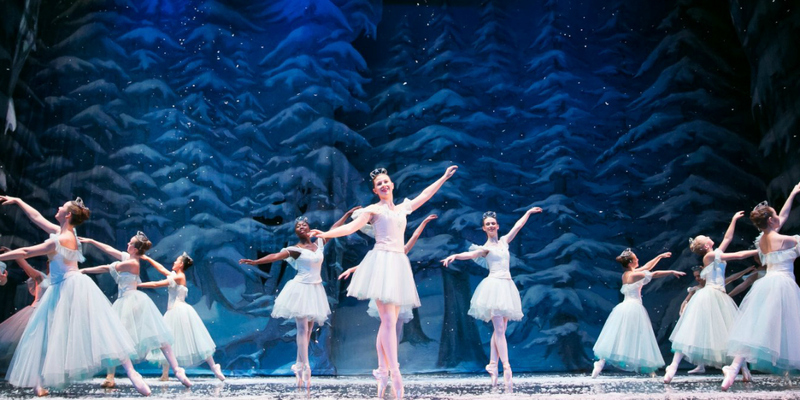 A perennial holiday favorite returns to the newly renovated Carolina Theatre in an enchanting story ballet that will be treasured by every member of the family. Doors will open an hour before show time. Tickets are $37.50, $27.50, or $17.50, depending on location. Students and children (ages 1-18 with Student ID) and seniors (60+) save $5 per ticket. Please call the theatre box office at 336-333-2605 for group discounts (10 or more). A $3 theatre facility fee and sales tax will be added to each ticket.